NIA CHARLESTOWN NEVIS (MARCH 16, 2016) – Women on Nevis are being urged to enter the field of politics. The call was made by the only female minister in the Nevis Island Administration, Junior Minister of Social Development Hon. Hazel Brandy-Williams. She made the call for the women to follow in her footsteps, while delivering an address at the International Women’s Day 2016 Women of Excellence Awards Ceremony and Cocktails on March 12, 2016. The event was hosted by the Ministry of Social Development, Department of Social Services’ Gender Affairs Division in celebration of International Women’s Day. The Minister referred to the Women’s Movement which was born in New York City in 1908. It fought for the voting rights of women but found its roots in the socialist movement in Europe. The Movement was later recognised by the United Nations in 1975. 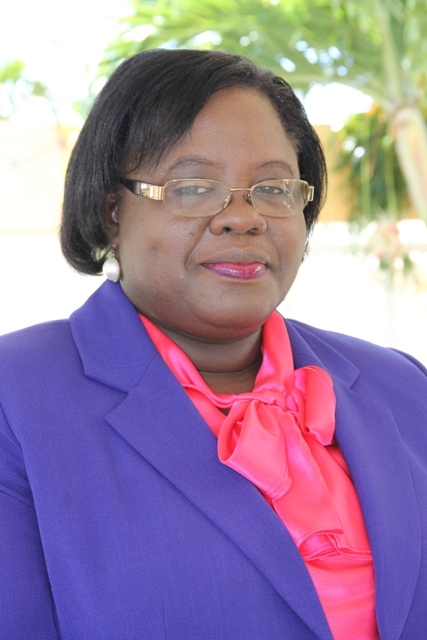 She believes that it challenges the women of Nevis to get involved in leadership roles and politics is no different. “The Women’s Movement challenges us, especially in the political field, to stand up and be counted and I will continue my mantra. “I need more women to stand up with me in the political realm. I cannot do it alone. We are the activists. Women are at the meetings and are at the polls in great numbers but then, after the polls and the votes are counted, we then surrender our power to the men when it comes to leadership. It is time, women. It is time. It is our time!” she said. Mrs. Brandy-Williams explained that the statistical data in St. Kitts and Nevis shows that women form 51 percent of the electorate. “We are the critical mass. It means that if we are to refrain from going to the polls, there wouldn’t be an election probably or putting it another way, we can make significant changes as to how an election goes,” she said. The Minister said women on Nevis have proven to be leaders in the family and in social settings but regrettably they are limiting themselves because women are also capable of leading a country.